Of Counsel: Robert E. Lessing, Jr.
Home / Staff / Of Counsel: Robert E. Lessing, Jr.
Attorney Robert E. Lessing, Jr., recently retired from active practice with Kryszak & Associates, Co., LPA. 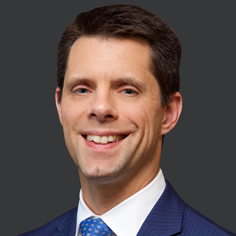 He is still involved with Kryszak & Associates, Co., LPA as a consultant to the office and its clients in his practice areas of Estate Planning, Estate and Trust Administration, Small Business and Real Estate. A resident of Lorain County for many years, Mr. Lessing was reared in Parma Heights, Ohio and graduated from Parma Senior High School. He received a Bachelor of Arts degree from Capital University in Columbus, Ohio and a Juris Doctor degree from Valparaiso University School of Law in Valparaiso, Indiana. 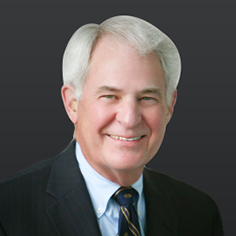 Mr. Lessing was independently engaged in the private practice of law since 1976. 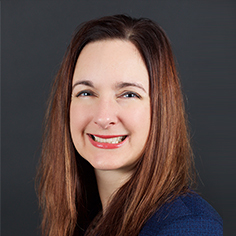 He previously practiced at Law Offices of Robert E. Lessing, Jr., A Legal Professional Association, and Lessing, White & Roig, Ltd., Attorneys at Law, in the areas of estate planning, estates and trusts administration, small business and real estate. He was also employed as an attorney at West, West & Sherman, Attorneys at Law, in Elyria, Ohio, in the general practice of law and National City Bank, Cleveland, Ohio, in the Office of Counsel and the Trust Department. A recipient of the Elyria Jaycees Distinguished Service Award, he has also received awards from Who’s Who in the Midwest. He has been recognized by Outstanding Young Men of America, Elyria Jaycees-JCI Senator, and he received the Chicago Tribune Medal of Honor. 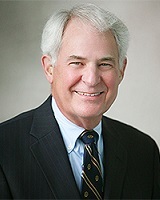 He is a member of the Ohio State, Cleveland and Lorain County Bar Associations. Mr. Lessing’s commitment to the community is manifested by his present membership on the Grafton-Midview Public Library Board of Trustees since 1988, where he has served as President for four terms. Mr. Lessing has been a member of Emmanuel Lutheran Church since 1981, having served on Church Council for two terms. He is a member of Vocational Guidance Services-Elyria Council, since 1984. He has been involved with the Midview Endowment Fund (President for six terms); Eaton Township Zoning Commission (Chairman for three terms); Grafton Advisory Council for Prisons; Family Planning Services (President for two terms); Taxpayers’ Committee of Eaton Township (Chairman for two terms); Kiwanis Club of Grafton-Midview; United Health Foundation (President for two terms); Elyria Board of Zoning Appeals (Chairman for two terms); Citizens Committee for Elyria Schools (Chairman); Elyria Precinct Committeeperson; Elyria Area League of Women Voters (First Male Member); Elyria Town Meeting-National Bicentennial (Chairman); Elyria Citizens for Education (Co-Chairman); and Elyria Jaycees (President 1975 to 1976).